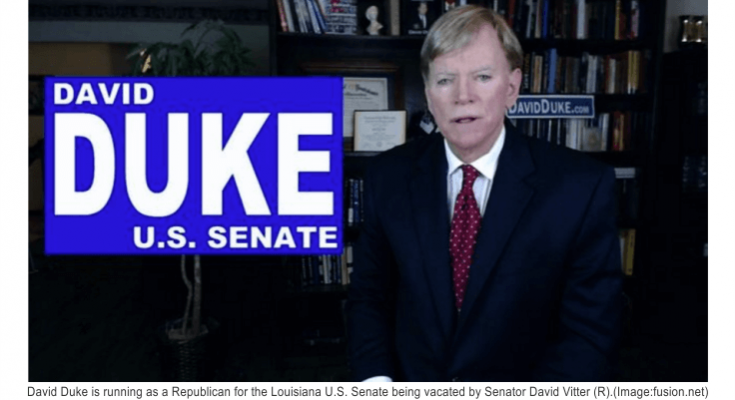 METAIRIE, Louisiana—Louisiana Republican U.S. Senate candidate David Duke will lead a “Million Klan Family” celebration march down Pennsylvania Avenue in Washington, D.C., if Donald J. Trump is elected president. 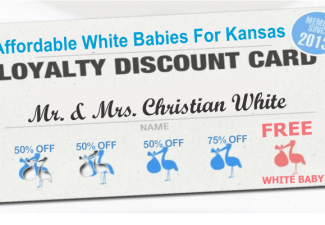 Speaking at a campaign rally yesterday in a small conference room at the Knights Inn motel in Metairie, Louisiana, the former Grand Wizard of the Knights of the Ku Klux Klan (KKK) told supporters he would re-create the 1925 Klan march on Washington if Mr. Trump wins. 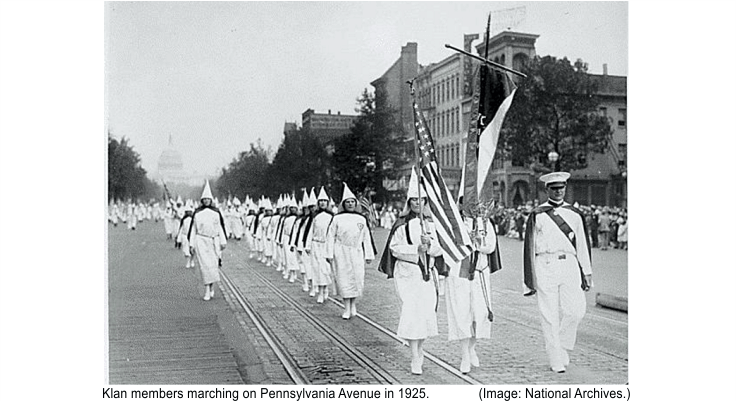 “We’re going to take America back and remind them of that glorious rally we did in D.C. back in 1925, and we’re gonna do it bigger and better, it’ll be huge,” he told the sparse crowd of several dozen supporters in this suburban New Orleans Republican stronghold. “I’m overjoyed to see Donald Trump embrace most of the issues that I’ve championed for years,” he added. 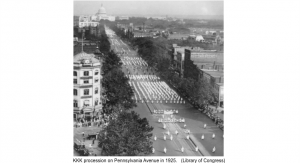 On Saturday, August 8, 1925, more than 50,000 Klan members dressed in full Klan regalia and accompanied by bands and drill teams paraded down Pennsylvania Avenue to the White House and U.S. Capitol, in a display of their fast-growing numbers and increasing political clout. 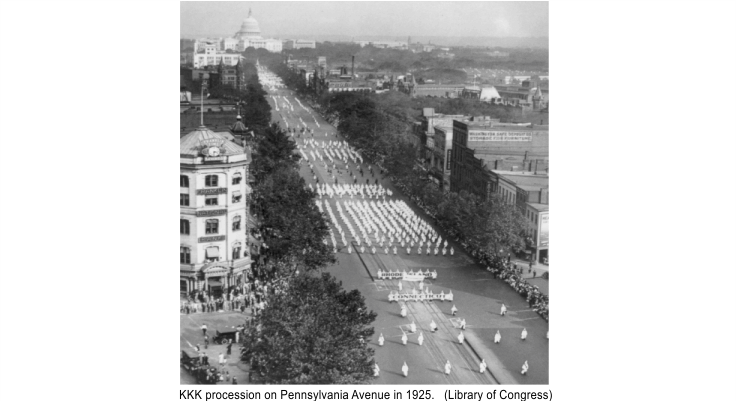 The KKK had become very popular across the United States after World War I, and with the 1925 parade, they were able to attract millions of new members. 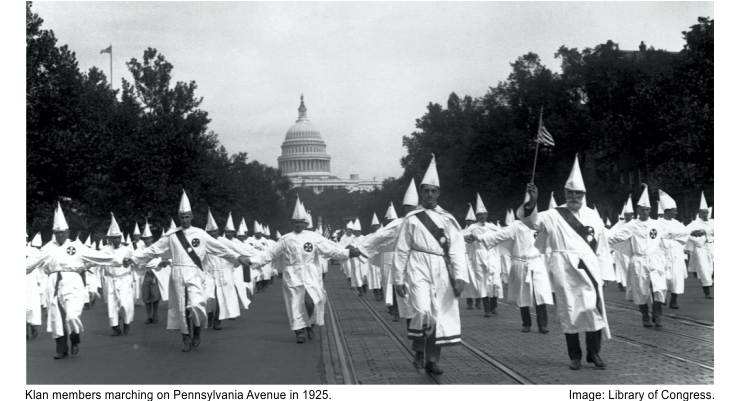 In the early part of the 20th century, several American presidents were active members of the Klan: William McKinley, Woodrow Wilson, Warren G. Harding, and Calvin Coolidge. 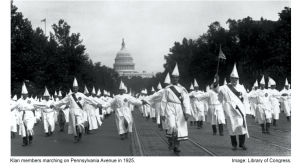 Mr. Duke told the roaring, boisterous crowd he was certain Mr. Trump would join in the parade if elected. “By his words and deeds so far, I think we can be sure he’ll be marching with us, and it’ll be high time that we had an American president who stood up for our beliefs,” he asserted. The former Louisiana state legislator declared his candidacy for the open Louisiana U.S. Senate seat on July 22, one day after Mr. Trump accepted the Republican presidential nomination. When he filed his paperwork to run for the seat, he cited Mr. Trump’s victory as the inspiration to run for office again. 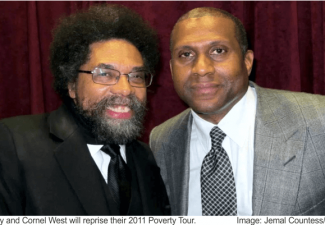 Willie Leroy Washington reports on the Deep South and is based in the historic Black Belt city of Selma, Alabama.